Find My Workspace lists over 95% of the business centres market in Bromley. Simply click Request Quote to check pricing for one office, or Add to Basket for multiple offices. This centre located in the town centre of Bromley is suitable for small to medium businesses. The space itself give you access to the local shopping centre The Glades, local cafes, restaurants and bars. 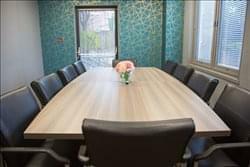 On site amenities include 24 hour access, 24 hour security, admin support, meeting/board room, secure car parking, furnished offices, kitchen, reception services and a outstanding security system. Lovely friendly bright office for up to four people with high speed broadband, telephone line, internet Cat 5 Ethernet connections on the wall, tables and chairs provided (or tenants can bring their own ones), secured separate large office room, own kitchen (shared between tenants), 10-minute walk Bromley Intu Centre. Flexible min one-year contract can be extended. There is 24 hour access to the building and central heating is included. 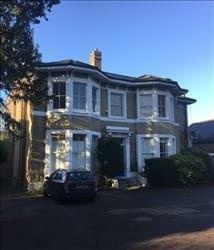 This centre offers licences to two offices in an imposing Victorian Property in Bickley which is just outside Bromley Town Centre. The offices are bright with Cat II lighting and light coloured carpeting. Each office is entitled to one onsite parking space and the building is less than 200 metres from Bickley Train Station with frequent train services to London Victoria and Blackfriars. Shared Kitchen and Bathroom Facilities provided. Rental inclusive of rates, lighting and power. Offered on three months deposit, monthly rental in advance and three months notice of termination on either side. Ideal for businesses who have few visitors and enjoy a peaceful environment. Office desk space available to rent in a three storey boutique office in Bromley. Situated on the ground floor of the building, this office space is of a contemporary style. There are three hot desks available in this space, the office seats eight people in total. There is free internet available along with WiFi and printing and scanning facilities. There is a kitchen available to use which comes with a fridge along with free tea and coffee refreshments. Opening hours for the centre are 8.30am to 5.30pm Monday, Wednesday and Thursday and 8.30am-5.00pm Tuesday and Friday. 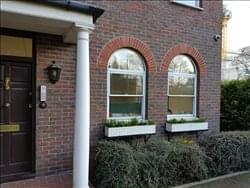 The office space has central heating and double glazing and comes comfortably furnished. This space is available on flexible terms making this an excellent choice for your new office base! To obtain information for your selected London Borough of Bromley Business Centres, please tick the "Add to basket" box for each office you prefer and complete the form below. We will then send a detailed report via email.